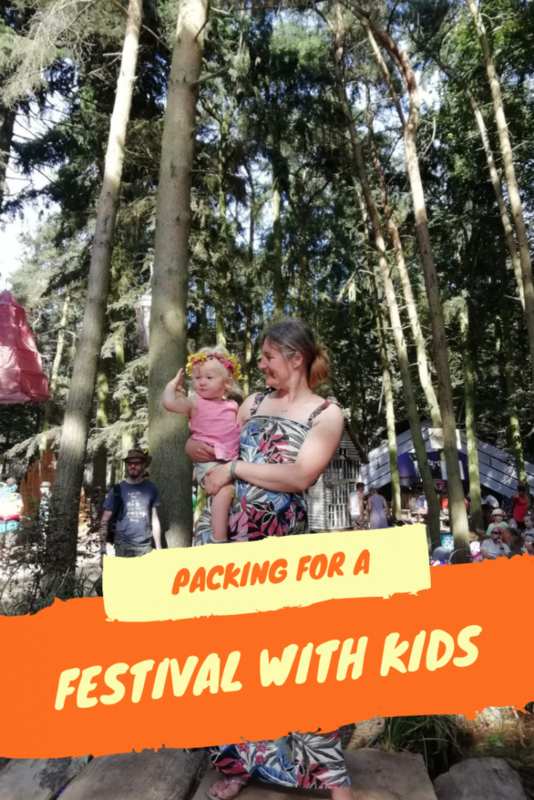 I promised on social media that with our annual trip to Latitude Festival coming up I would put up some content on surviving a festival with kids. I will definitely do that but I ran out of time before we went. In the meantime I wrote some tips while busy packing so I thought I should share them for anyone heading to a festival with kids. If you’re not sure whether a festival with kids is for you, you should check out my post on why we do it. I’ve chucked in a couple of Amazon affiliate links, mostly so you know what I’m talking about. If you use them I make a small commission, which is nice for me! This will be Ted’s fourth Latitude and May’s second so we have a little bit of experience. 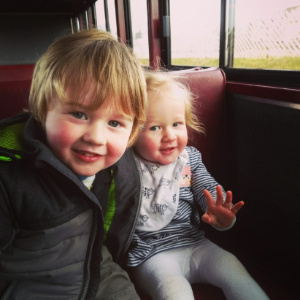 If you’re thinking about heading out to a festival with kids this year for the first time you might be feeling a bit overwhelmed. Kids come with a lot of baggage as it is but throw in camping and being overwhelmed is understandable. Truthfully though my best piece of advice is not to worry too much. It might feel isolating being confined to a field for the weekend but actually there is very little that you can’t buy there. As long as you have the essentials you’ll be OK.
With all that in mind, here’s what I will be packing. A good place to start but it varies wildly depending on the forecast. It hasn’t rained for at least 6 months at this point and that looks set to continue for at least the weekend. I will throw in a rain jacket for everyone but I won’t be packing that old festival stalwart, the wellies. This year it’s shorts, t-shirts and dresses all round for day time. I will be following the number of nights plus one rule for most things. Clothes do get grubby when you’re in a dusty field so I do pack something clean for every day plus a spare. Having said that, Ted hasn’t been potty trained for long so with that in mind he’ll have a few extra pants and shorts available. For evenings I will pack a pair of trousers for everyone (probably two pairs for the kids) and jumpers. We’ve had exceptionally warm evenings the last few weeks but my experience tells me it always it’s cold at the coast! You should always prepare for cold nights when camping. If the nights are cold then you will all want layers. If the night is warm you can always strip them off and it’s important to remember to do so as overheating is dangerous for babies. For cold nights I start off with a vest and pyjamas and add socks and gloves as necessary. Once the sun comes up they will be far too hot in the tent for PJs, sleeping bags and the rest. Branded clothes are available at festivals. They can be pretty pricey but if you go through everything else they are there and you might want a souvenir anyway. Your tent is the most important thing. You will need a big one! Even if you manage with just a medium sized number when camping normally. The problem is there’s no just nipping back to the car for an item when you’re at a festival especially if you are at a festival with kids. You will need to store everything for four days in your tent. We have an Outwell which we love (similar to the one in the link). We looked at a lot when we first had Ted and this was the only one that ticked all the boxes in our price range. Our criteria were fairly simple. We wanted one with two bedrooms that can be completely separate (they never are, the zip remains permanently unzipped). Knowing we were heading to a festival with kids for the first time we wanted space to stand up in and we wanted lots of pockets. We also wanted something that was relatively easy to put up. If your shopping for a tent I would recommend a trip to your local Go Outdoors or similar. It really helps to see the tents in person and try them on for size. Aside from a tent I would say the only other essentials are sleeping mat/air bed and sleeping bag. For ourselves we have an air bed and we drag our duvet along with us because it makes for a much better night’s sleep. Ted has a child’s sleeping bag and air bed. We will take the travel cot for May. It’s bulky and heavy but there’s no way she’s ready for an air bed yet. Whatever you go for choose whatever is comfy for you. Other items depend on how much time you intend to spend at base camp and how comfy you want to be. We need coffee in the morning so for us a camping stove and decent camping kettle are important. With the stove you’ll want the larger flatter ones, the stand up numbers are a nightmare in wind and take ages to heat. We also have camping chairs for base camp, although unlike many people at Latitude we don’t bother to carry them into the main arena. Instead we have picnic blankets which are much easier to carry around since we don’t ted to stay in one place long. I am a big fan of festival food. Far from the traditional overpriced greasy burger (although that is available if that’s what you want) there are a huge range of tasty and healthy options. However, there are two problems. Firstly, if you ate entirely festival food for five days you would be a lot heavier and your pocket would be a lot lighter. Secondly, the toddler. I’ll deal with the toddler problem first. He three and he’s fussy. I am currently struggling to think of a single festival food that he would eat without a fuss. Add into the mix that he is dairy intolerant and allergic to soya (both unconfirmed, it takes ages to get a diagnosis and if either pass his lips we are back to square one) and there’s no chance. So we will be packing as much food as we can safely store in an oven of a tent. My thoughts are plain pasta, baked beans and organix crisps. Luckily the baby will eat anything. For us we’ll take a few snacks in a pot and porridge in a pot. Coffee, wine and water are also on the list. On the first night we usually treat ourselves to a disposable BBQ with pre-made stuffed mushrooms, sausages and halloumi. I’m hungry just thinking about it. The baby still drinks a gallon of milk (not an exaggeration) to settle her at night so we’ll have to buy fresh milk in the on site super market every day. If you want to save some pennies you can get most camping foods there. This section could get really long as we take a lot of crap with us. I’ll try to keep it to just the things you can’t live without at a festival with kids! Yes we are one of those families that drags their children around in a cart at a festival. I would say we had mixed success with it last year. He wouldn’t sleep in it when we wanted him to at all. It was useful for dragging stuff in from the car and it meant we didn’t have to carry him everywhere. I have high hopes that it will work for us better this year. There will be toys. It’s hard to know how many and which ones. I filled a massive bag with them last year and he only looked at a few. Do I take fewer this year? Not sure yet on that one, I’ll report back. That’ll do for now. If there’s anything else you want to know about please feel free to ask in the comments below and I’ll do my best to answer usefully. Now we’ve returned I can update you where I was on the money and where I got it wrong. I was right about Ted, we did have a bit of a potty training regression and I didn’t have enough clothes despite packing extras. We were always going to buy him a souvenir t-shirt! I packed far to many outfits for May. Her clothes are so small and cute I can’t resist chucking in another one or two. I needed my spare dress after a coffee incident before we even left the tent one morning. David can pack for himself in future, he always complains about what I’ve packed for him. We still love our tent although it’s looking used and abused. Ted burst his air bed by jumping on it and ended up sleeping in the travel cot. Nights were cold so May was in with us most of the time anyway. I was pretty spot on with what we took. However, both children decided they no longer wanted to eat solid meals on the go and basically subsisted of snacks for four days. We had breakfast for them each morning and returned to the tent to cook a meal at their usual dinner time but they refused to eat. We learnt that they both really like Ella’s Parsnip and Poppy Seed Crackers, Ted will eat jerk fries if he’s stealing them from me and it is possible for the baby to just eat raisins. The on site super market had been upgraded for this year. It was basically a co-op with an over emphasis on booze. The prices were higher than a normal co-op but not by too much. The festival cart was indispensable. He was happy to curl up in it and go to sleep while we were out and about each night. 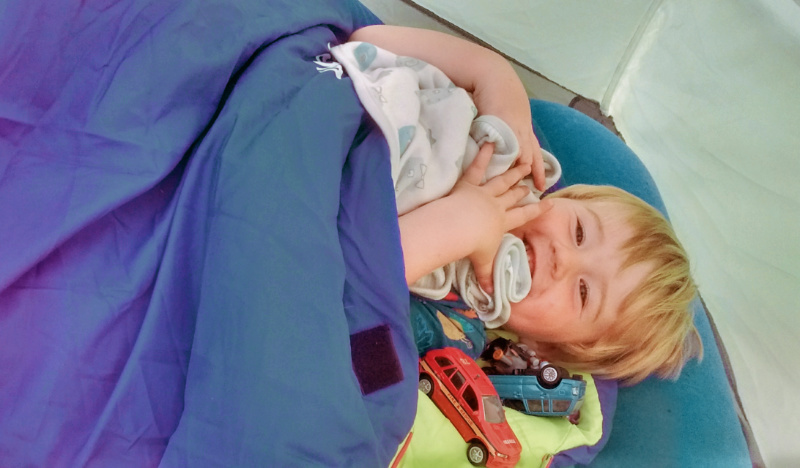 If we had been sensible parents and gone back to the tent early to put him to bed we would have spent 2-3 hours arguing with him. I took toys but they didn’t play with them much. Our Easy Xplorer was essential in the car and kept him going. I also had a range of sticker books one of which he did with daddy while listening to a feminist comedy panel discussion. I took May’s megablocks too but she was far more interested in finding the most dangerous thing to do round the camp and didn’t ever play with it. May’s favourite toys were the camping chairs which made great climbing frames, the camping stove and the tent itself (boo!). What would you pack for a festival with kids? What have we missed?